His autobiography Mr. Nice has sold millions world wide. A softly spoken man, he has engaged audiences from Oxford to Osaka with his fascinating lifestyle and great anecdotal tales that has seen him driven by adrenalin and fuelled by emotion for a right and just society. During the mid 1980s, Howard Marks had forty-three aliases, eighty-nine phone lines, and twenty five companies trading throughout the world. Bars, recording studios, offshore banks: all were money-laundering vehicles serving the core activity: dope dealing. After many years and a world-wide operation by the Drug Enforcement Agency, he was busted and sentenced to twenty five years in prison at the United States Federal Penitentiary, Terre Haute, Indiana, the site of America's only Federal Death Row. He was released on parole in April 1995 after serving seven years of his sentence. Since his release he has toured the world relating stories from his multi million selling autobiography Mr. Nice. This Woolly Welsh Wizard of Words has lived a life so extraordinary it has been made into a film. 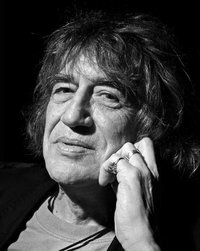 Famous for his audacious cannabis trafficking and liberal opinions, Howard Marks has become somewhat of an icon in the world of literature and spoken word. Following the worldwide success of his autobiography 'Mr Nice' and with the imminent release of Bernard Roses film of the same title, Howard is to now taking his lauded "An Audience with Mr. Nice" on tour to share his experiences face to face with the public.